Madison International Realty has partnered with Educational Alliance’s Samuel B. Rosenblatt College Prep Program to create a mentoring program especially tailored to their students and alumni. Educational Alliance is a 126-year-old New York institution that strives to help the community by providing arts & culture, education, health & wellness, and social services to those in need. Their approach in their college prep program in achieving success is specially tailored to address the challenges these youth face in recognizing what is possible in life and then daring to reach for it. 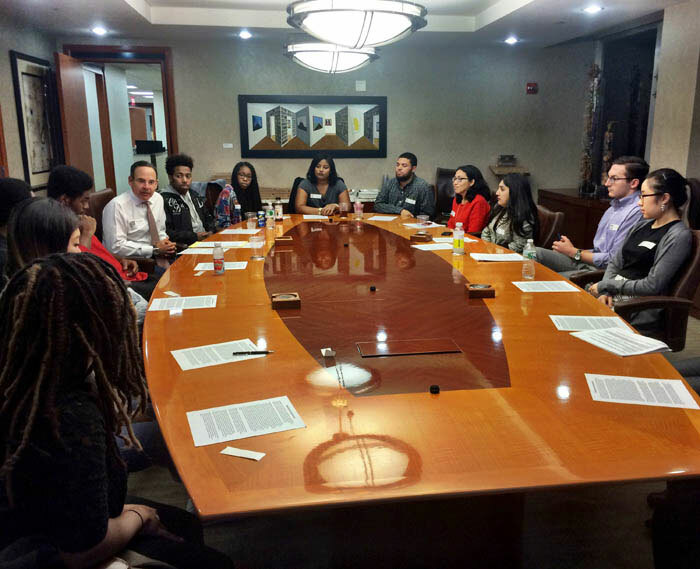 On February 24th, 2016, Madison International Realty held its second mentoring event with 11 of Education Alliance’s students. The Madison staff taught workshops on business dining etiquette and networking, all coming together at the end of the evening with a mock-networking event to allow the students to use the skills they just learned. These topics are not often taught in a traditional setting and allow the students to develop their confidence to support their ambitions. This mentoring event is the first of four that Madison International Realty plans on hosting annually, with the next set for May.